Be prepared for every situation while LARPing. 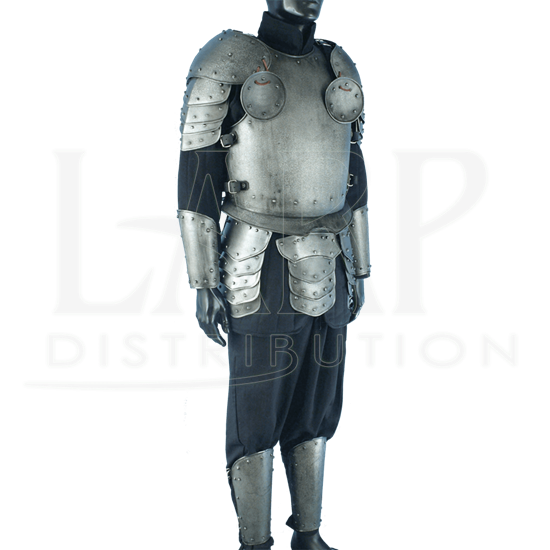 Perhaps a battlemage seeks to invade your kingdom, or a band of orcs threatens your village, regardless, the Dark Warrior Complete Armour Package - Size Large provides a strong defense. A breastplate and backplate guard the torso. Pauldrons with articulated plates and besagues cover the shoulders. Bracers and greaves protect the forearms and shins. A tasset belt guards the hips and upper thighs. Crafted from 19-gauge steel, the armour possesses a dark metal finish, coated with a special rust resistant treatment. Leather buckle straps secure and adjust the fit of each piece. Rolled edges and rivets increase the deflection capability. 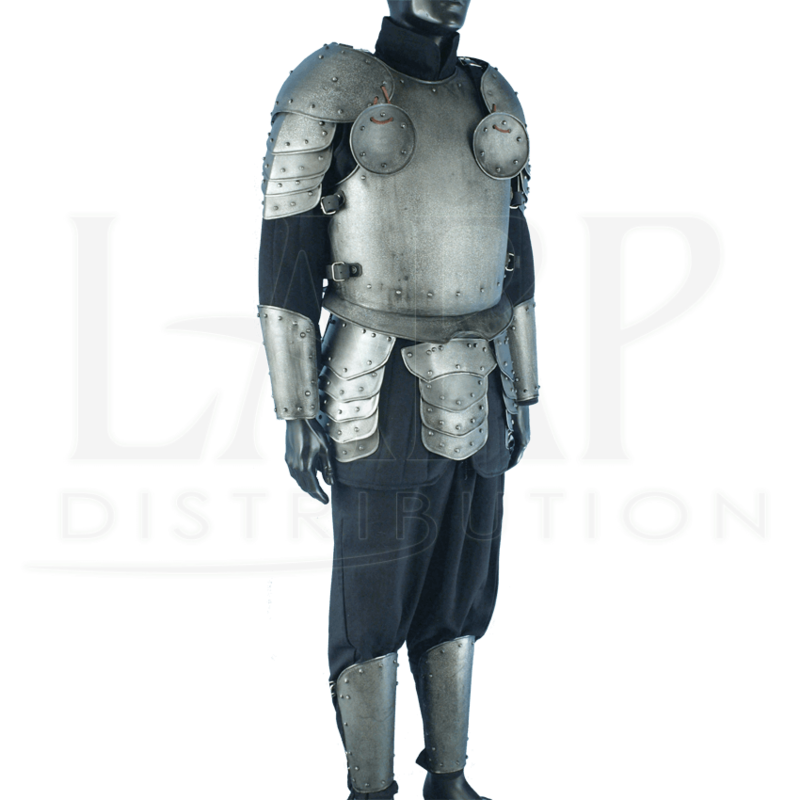 Whatever role you choose at your next LARP event, the Dark Warrior Complete Armour Package - Size Large will prove its worth.